McKee's 37 Microfiber Cleaner rinses completely clean. It leaves no residue of its own. Plus, McKee's 37 Micro-Cleanser is completely biodegradable. First time using this brand of Microfiber Cleaner. Wish I could say this stuff SERIOUSLY cleans all my towels but I honestly cant tell if this stuff works better than all the others I've used. Anyone know if an independent test was done on which MF Cleaners work the best? Excellent product. Works very well. I use it on all my microfiber towels, leaves them ready to use on my next wax job or cleaning my computer monitor! Does what you expect it would but you definitely have to soak heavy stains before a wash. 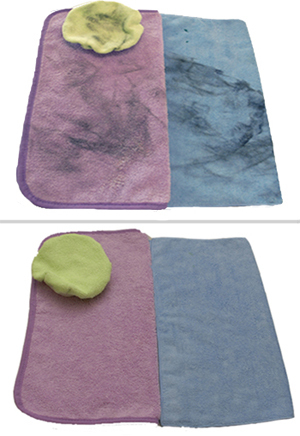 Washed my microfiber towels with regular soap and they did not work the same as new, used this product and amazingly they returned to their original condition. ProsCleans microfiber towels like no other, like they say the proof is in the pudding.